Workers need quality matting options to provide comfort and safety in the workplace. The Diamond Dek Sponge Mat line is great for people who need a heavy-duty matting that provides sure footing, reduces fatigue, and resists common oils, alkalides, and acids. Each Diamond Dek Sponge mat features a special diamond thread surface for traction. From there, the Diamond Dek product you choose can depend on what you need from your mat. Here are five different Diamond Dek Sponge Mat options and how they can help you. The Diamond Dek Sponge Mat is a tried and true flooring option. 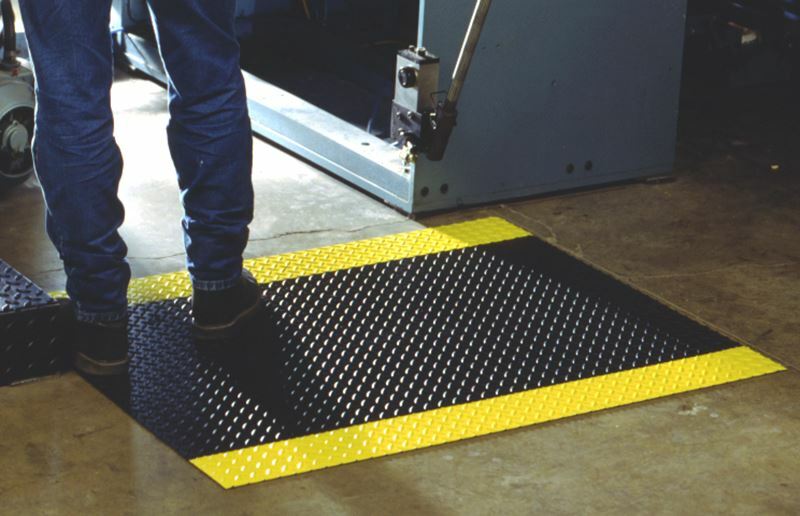 This bonded two-layer floor mat is made with industrial grade foam, beveled edges, and colored safety borders to help support workers. The Diamond Dek Sponge HD Mat is an even thicker version of our main product. This heavy duty option is great for spaces that need a heavier, thicker option for employees. If floor visibility is a must, Durable’s exclusive Diamond Dekker Sponge HV Mat is the way to go. The high visibility yellow color makes sure that workers can easily spot the mat in work spaces, helping them avoid dangerous slips and other accidents. The Diamond Dek Sponge Supreme Mat combines the diamond thread surface with a heavy grade PVC sponge base to provide extra cushion for workers that stand for long periods of time. Extra cushion means extra support for people worried about pressure on their feet or fatigue. The Conductive Diamond Dek Sponge Mat is great for workplaces with electronic equipment. This mat is made with an insert for grounding cords to help prevent static accumulation that can cause damaging sparks and surges. Whether you need a sponge mat that can reduce static or keep your legs fresh, Durable has the products for you. Contact Durable online or log in to your customer account to order Diamond Dek Sponge mats for your business today. After over 90 years in business, Durable continues to evolve as a leading manufacturer of safety mats, dock bumpers, and other quality products. Part of that evolution includes providing an excellent online customer experience through our website. That’s why we’ve taken measures to provide new website capabilities so that our customers have the information and tools they need to learn about our services and order quality products. Here are some of the new and improved features of our website. Our customers need to be able to find what they need when they need it. Unfortunately, they might not know exactly what they want until they do some research. We revamped our product organization so that our customers can browse through our products with ease thanks to a sleek, mobile-friendly design. Not every floor mat is meant for the same purpose. Customers can search through different product categories so that they can find a selection of related products. That way a customer looking for anti-fatigue mats designed for slippery work environments can easily search through the site and find wet area floor mats or any other product they need. 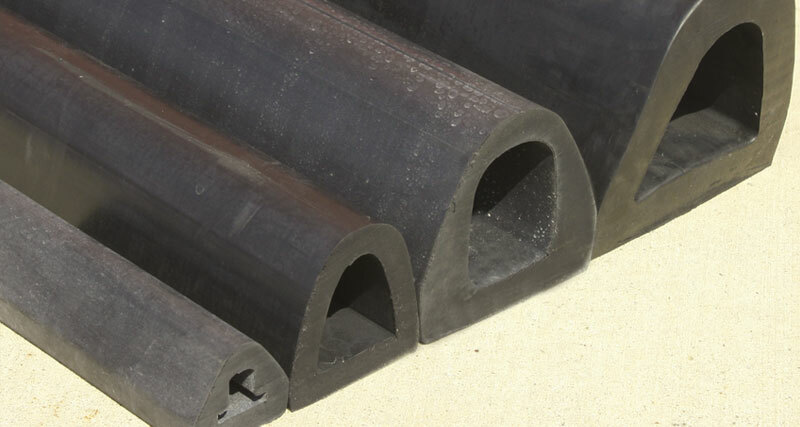 There are more ways to find Durable products than through our product categories. The Durable product finder helps customers narrow down search options. The product finder allows you to search by specific keywords, categories, and price ranges to match your criteria. That way our customers know exactly what options fit their needs and budget through a single search. Another beneficial feature of our site is the inventory available for registered customers. Users can log in to our site and order products directly online. Customers that log in will be able to add items to their cart directly from individual product pages, with a special discount for official Durable dealers applied. Registered customers are also able to track the status of current and past orders. Some customers need to do extra research before they can make a buying decision. We added more information to our site so that our customers can learn more about Durable and our products. These additions include information on our upcoming trade shows, a section on Durable’s use of recycled materials, and added descriptions for our product categories. We also share helpful tips through our blog. Durable started with just a single product nearly a century ago and has turned into an innovative manufacturer of quality products, both online and offline. Contact Durable online or give us a call at 800-537-1603 to order your own Durable products today. Even if nine out of 10 drivers are doing fine, that one bad or careless driver can cause problems for your business. You can’t control every driver in one of your parking lots, but you can take preventative measures to make your properties safer. Like plastic speed bumps, parking blocks help you make your parking lots safer, except that blocks act as a way to stop drivers before they go too far instead of slowing people down. Plastic parking blocks serve as a buffer between moving cars and everything else. A good parking block prevents cars from rolling too far forward, which can protect both the driver, other parked vehicles, and property from unnecessary damage. Of course, in order to stop a car from rolling forward, a parking block has to be strong. Durable parking blocks are made with 100 percent recycled plastic that can withstand impact from vehicles and keep them from inching too far forward. 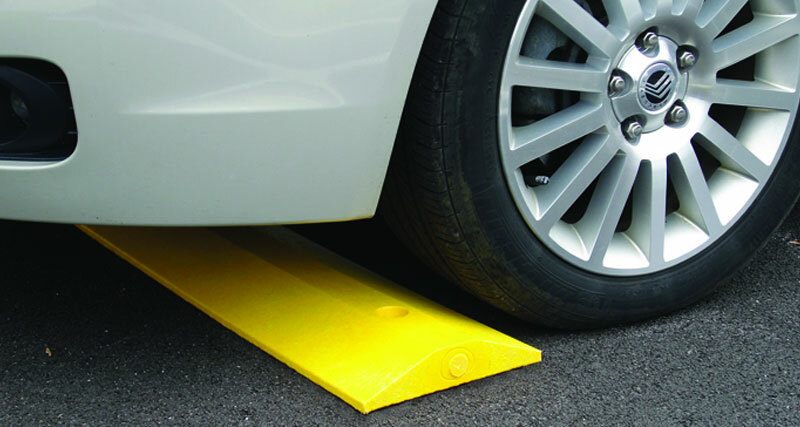 While plastic parking blocks are designed for contact with vehicles, that doesn’t mean that they have to be heavy. Concrete blocks can be bulky and difficult to maneuver, while plastic parking blocks are lightweight and easy to install. The perks of buying a plastic parking block go past the initial installation phase, as well. After being installed, plastic parking blocks are essentially maintenance free and will maintain their color for years. That means that you won’t have to worry about repainting or replacing parking blocks for a while. Whether you need to block off an area or provide a buffer for parking spaces, plastic parking blocks can give your property extra protection from other drivers. Contact Durable online or give us a call at 800-537-1603 today to order our premier plastic parking blocks today. Even a little bump can go a long way. 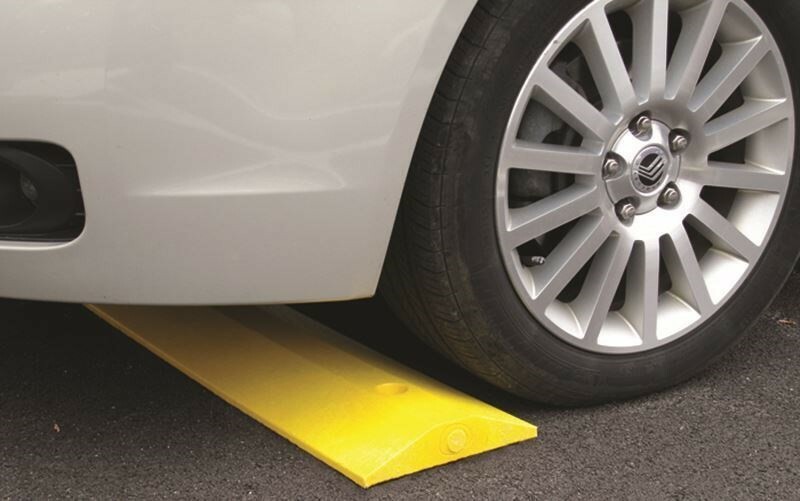 Plastic speed bumps are effective tools for slowing down traffic and improving safety in parking lots, garages, and other areas. You can’t prevent people from driving, but you can take measures to keep them from driving recklessly by your business with heavy duty parking supplies. Here’s why plastic speed bumps are a good investment for your business. Simply put, speed bumps help keep people safe. According to the Centers for Disease Control, one pedestrian in the U.S. dies every two hours from a traffic-related accident. Add in the 150,000 non-fatal crash-related injuries to pedestrians each year and you can understand why traffic safety can be a concern for businesses with parking lots or garages. The health and safety of your employees, customers, and property are a huge deal. Speed bumps force drivers to slow down, limiting the potential for damage to your property or an accident with someone walking to their car. Once you invest in speed bumps, the bumps do most of the work. Plastic speed bumps are easy to install and maintenance free, meaning that once they’re in the ground, you’re set for years. They’ll even maintain their color for years despite heavy contact with moving vehicles and exposure to the elements. Just like installation, taking away a recycled plastic speed bump isn’t a problem. You may want to move a speed bump to a new location after a while. Plastic speed bumps can be detached and installed elsewhere. That’s a lot easier than chipping away a mound of asphalt and rebuilding it elsewhere. You may not be able to have someone watch your parking lot, but you can install some measures to keep your property and the people on it safe. 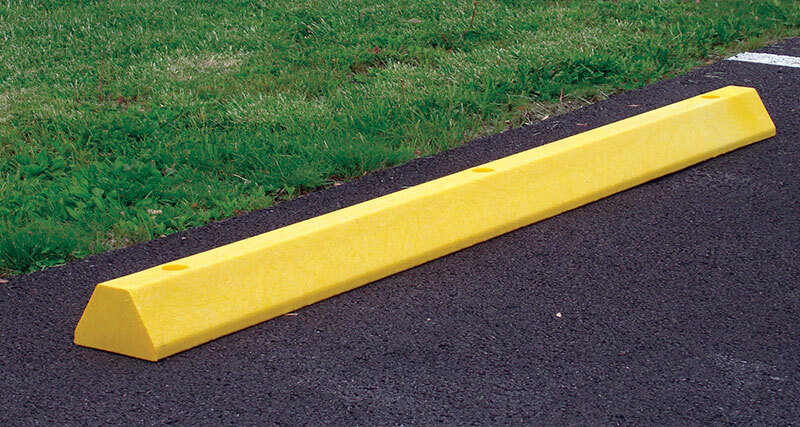 Contact Durable online or give us a call at 800-537-1603 today to order plastic speed bumps for your business. The human body is not designed to stand for long periods of time. However, there are plenty of jobs that require people to be on their feet for long stretches at a time. Fortunately, Durable anti-fatigue mats help keep people upright and energized throughout the day. Anti-fatigue mats help protect your workers and keep them feeling refreshed. Anti-fatigue mats are beneficial for more than just preventing long-term health issues, as well. Good mats can act as a guard against on-site slips, falls, and other accidents. Durable anti-fatigue floor mats can be used in wet and dry areas and can provide traction for employees that work in slippery workspaces. If you have a workspace that requires a lot of standing, you should consider getting anti-fatigue mats. Industrial and retail workspaces are two big areas where employees are up on their feet all day. Anti-fatigue mats are also useful outside of work as well. For example, rubber entrance mats are great for entry ways and exits to your back yard. Rubber kitchen mats provide support during preparation and cleaning. 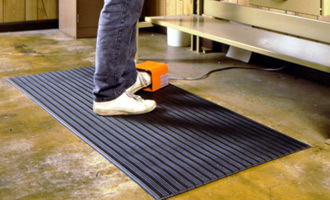 Adding a rubber floor mat by your work bench can give you extra energy to tinker away. No matter where your work, anti-fatigue mats are a great option for people who are up on their feet all day. Contact Durable online or give us a call at 800-537-1603 today about ordering anti-fatigue mats for your work spaces.